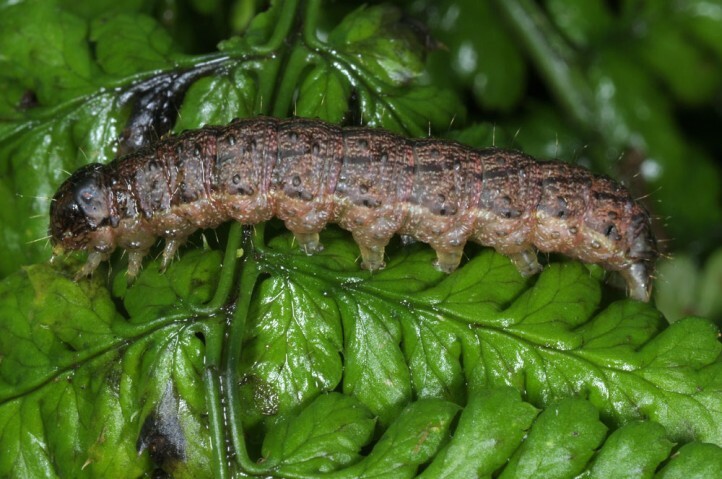 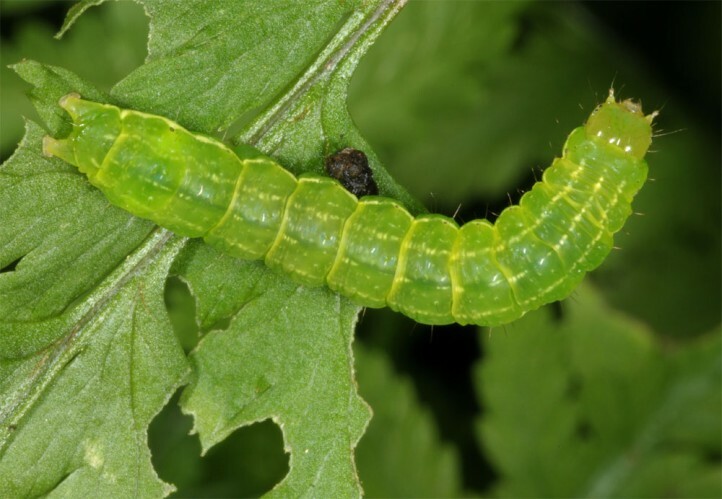 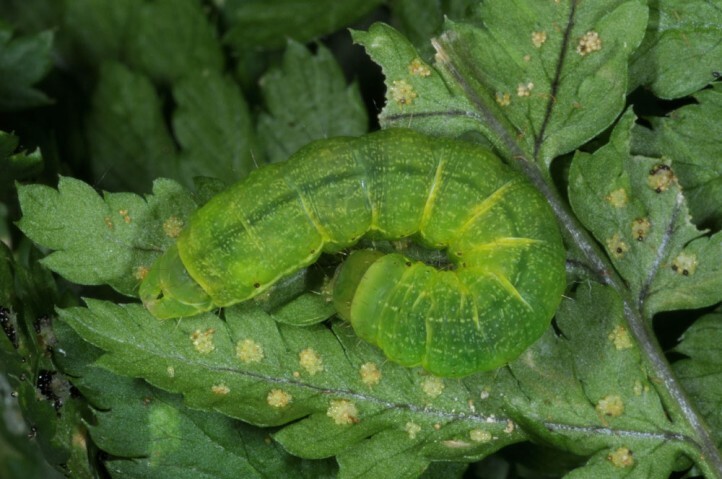 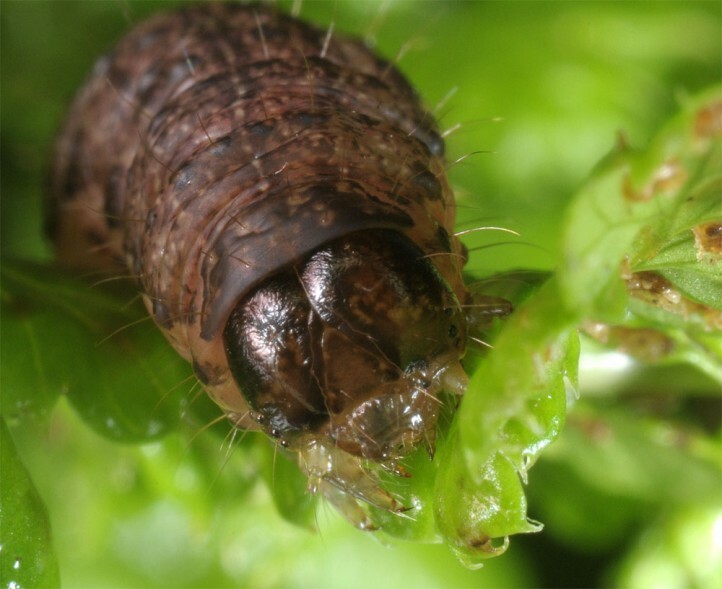 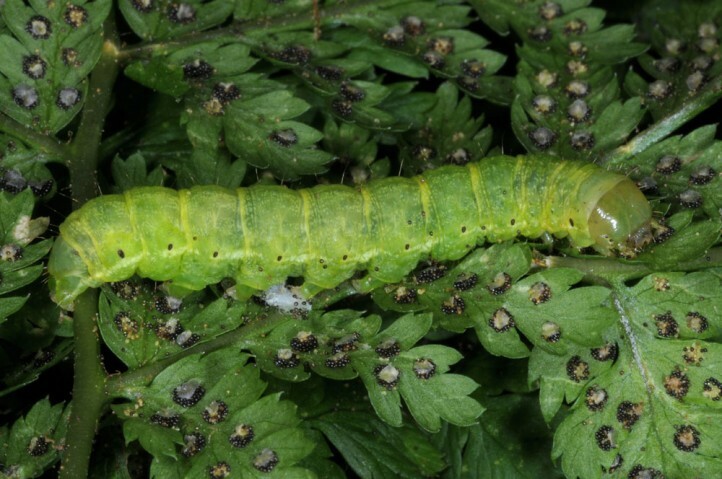 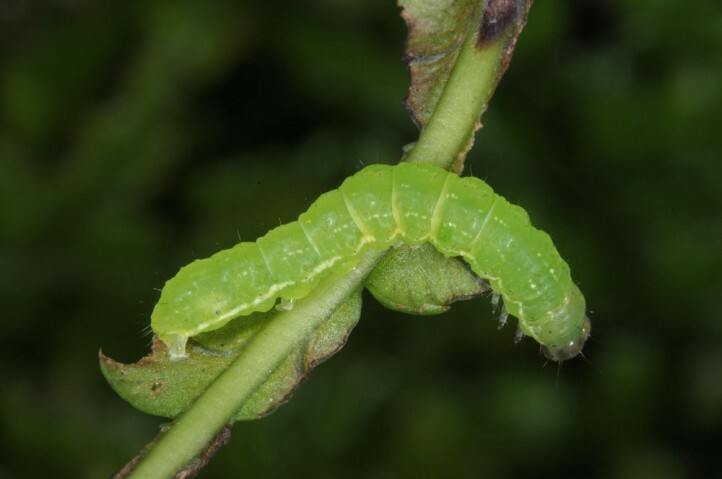 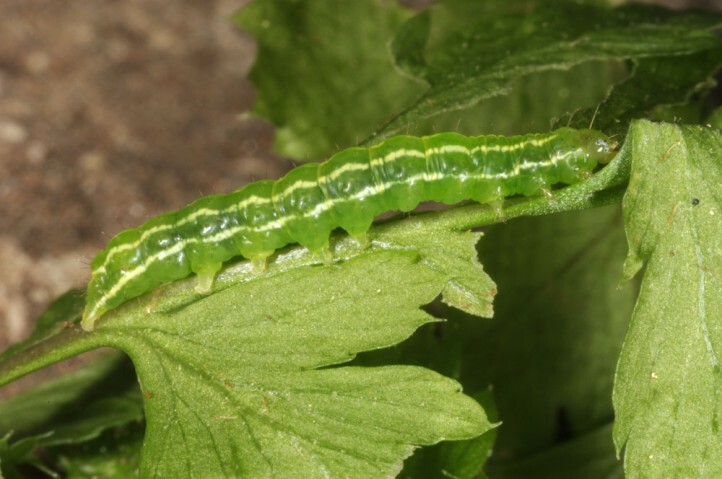 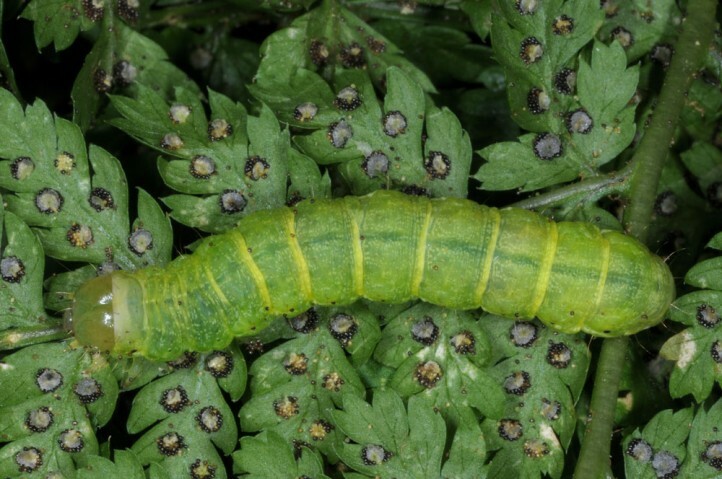 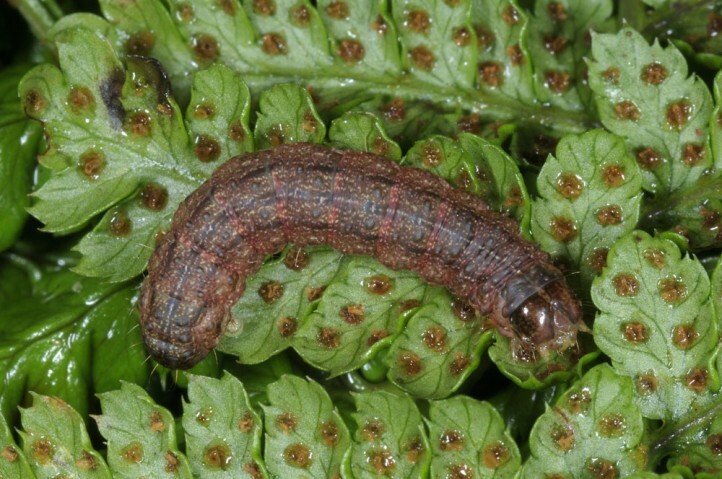 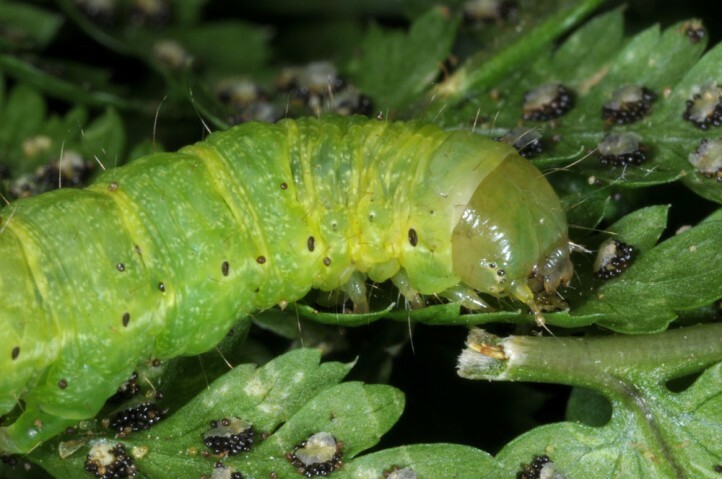 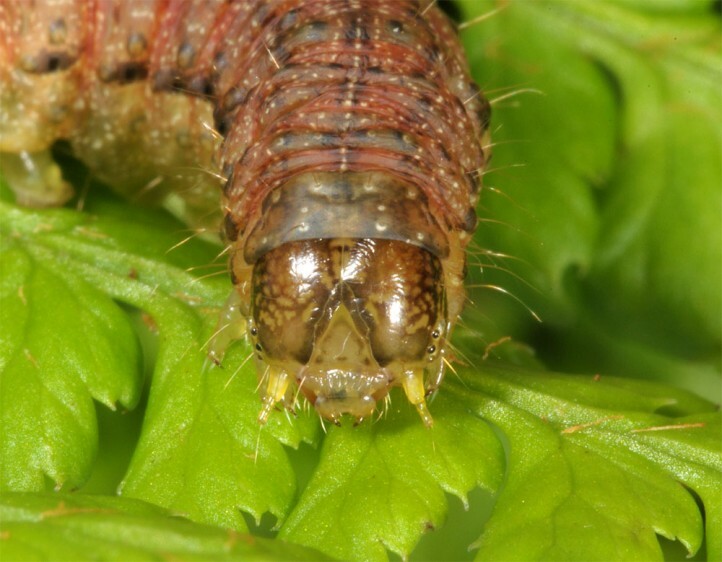 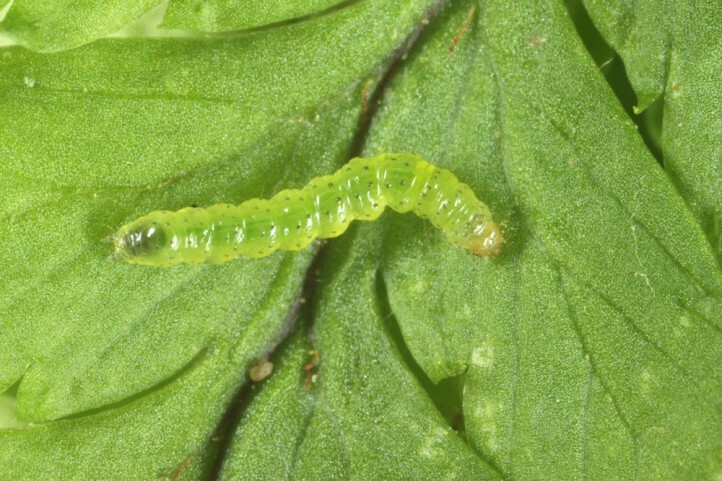 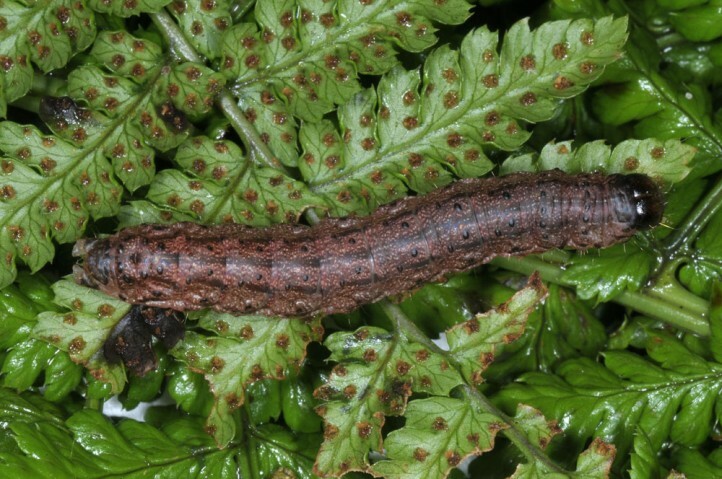 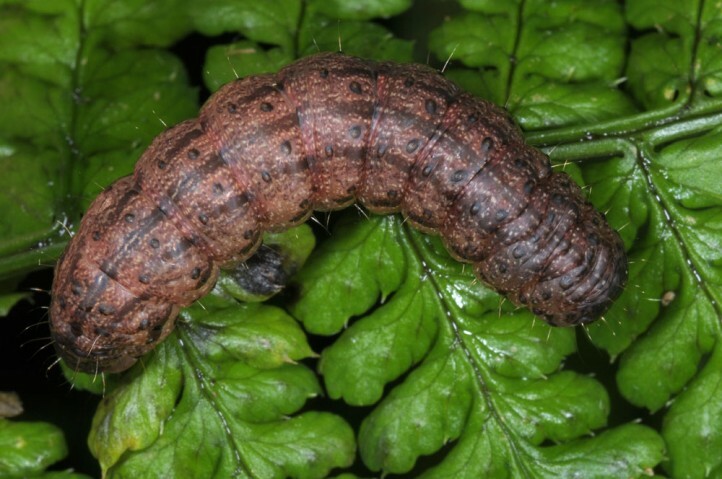 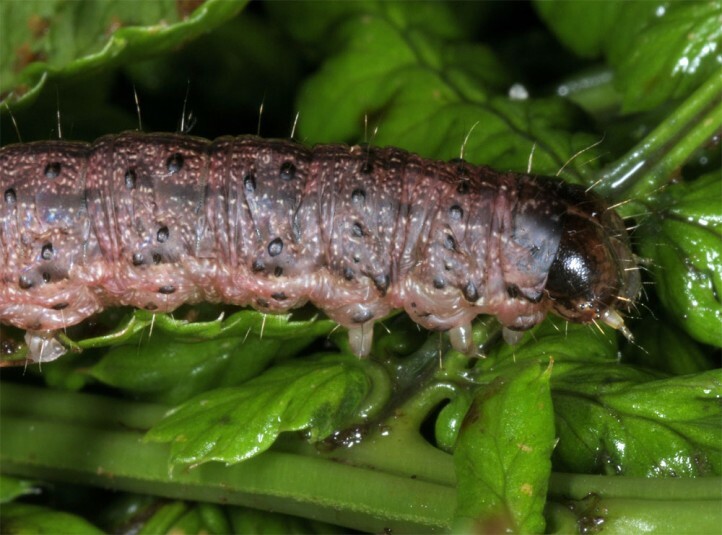 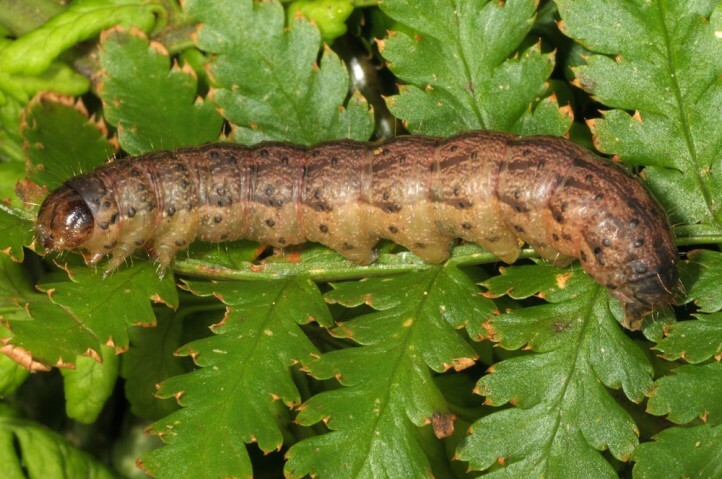 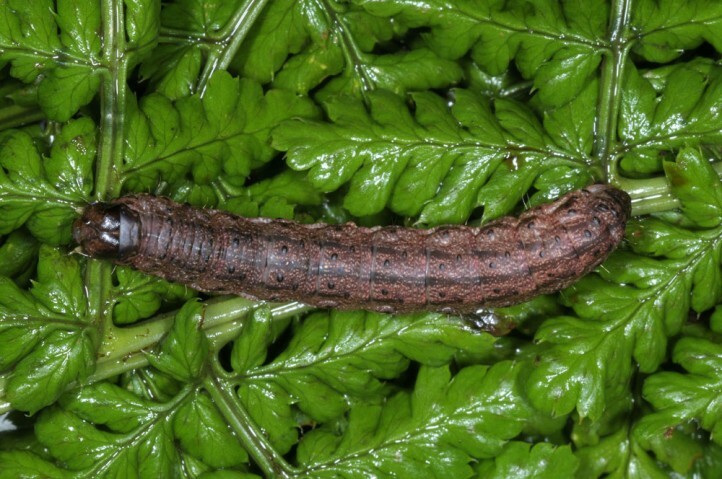 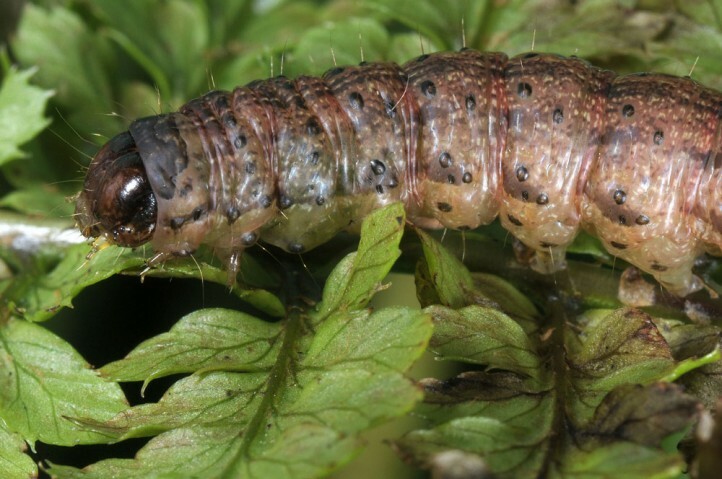 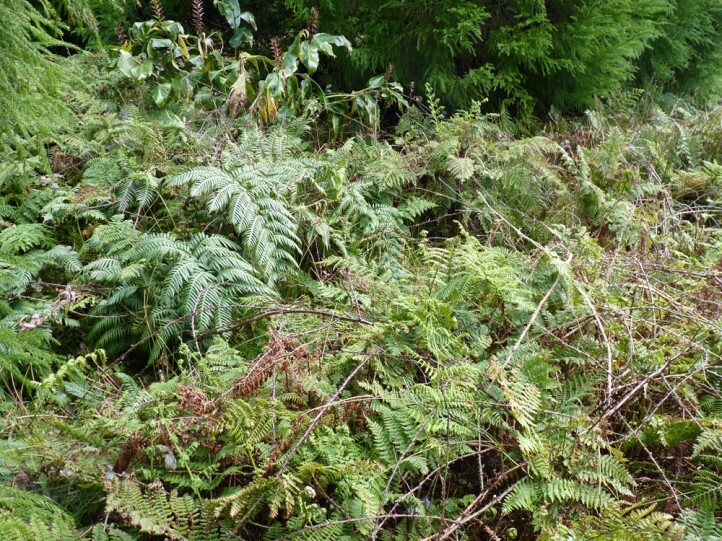 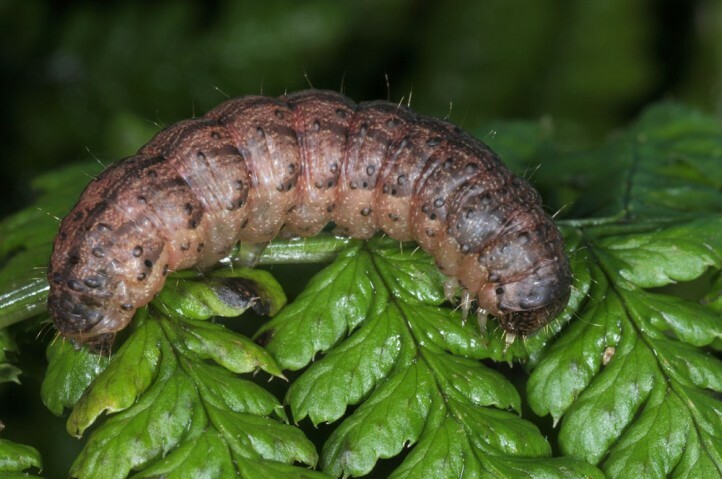 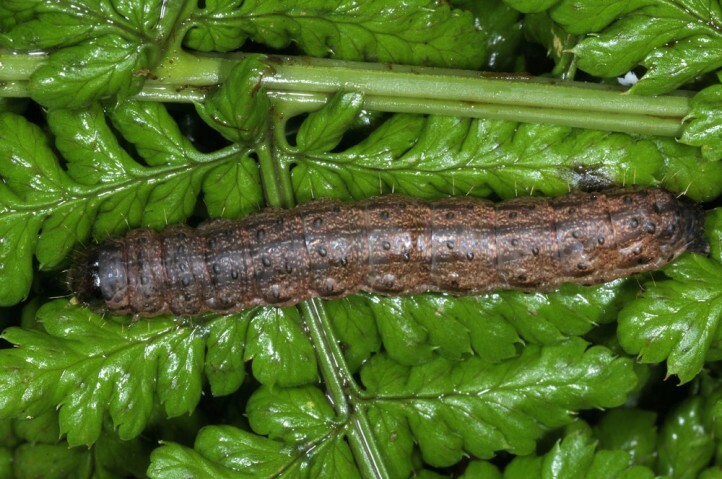 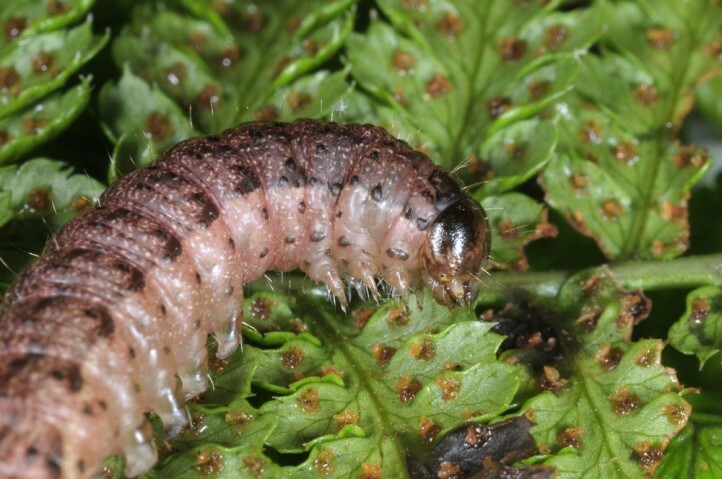 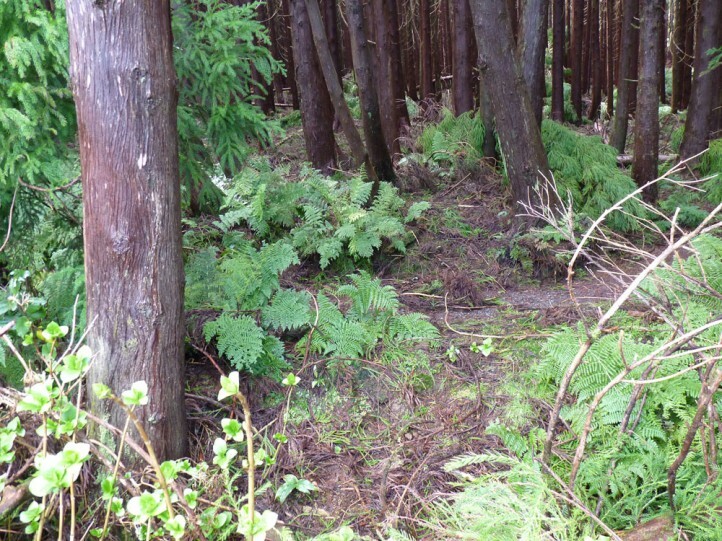 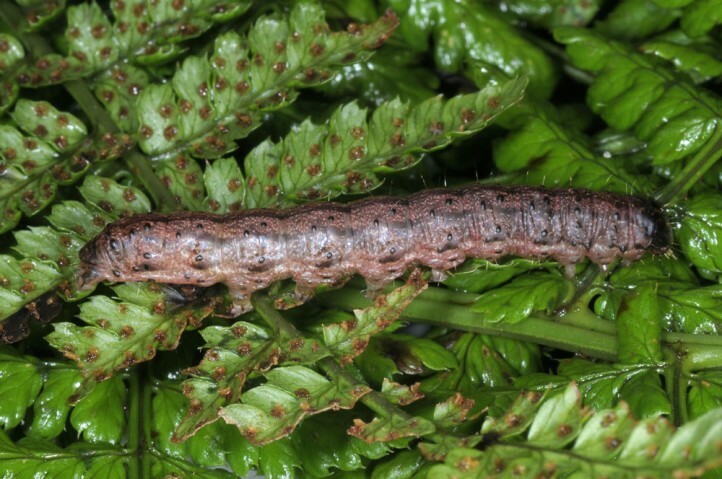 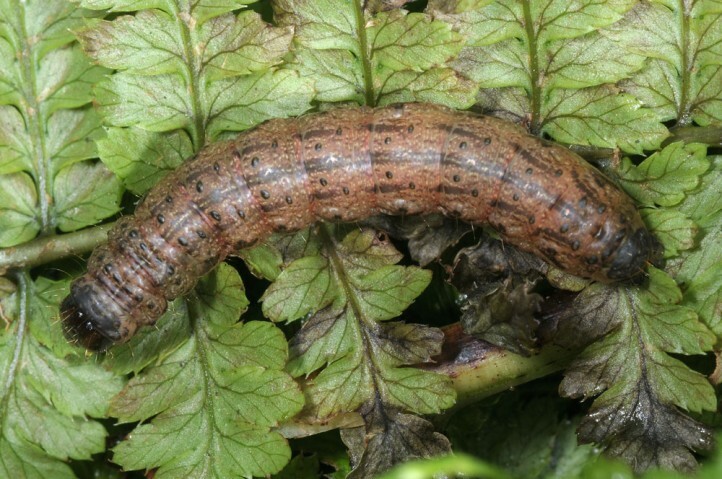 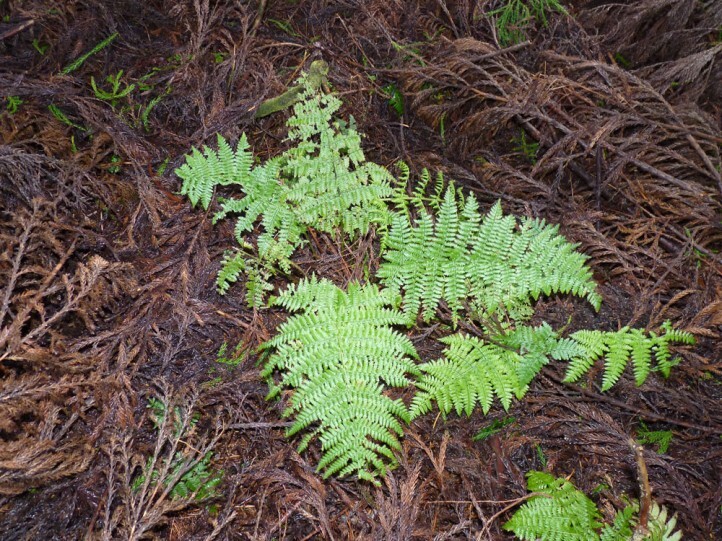 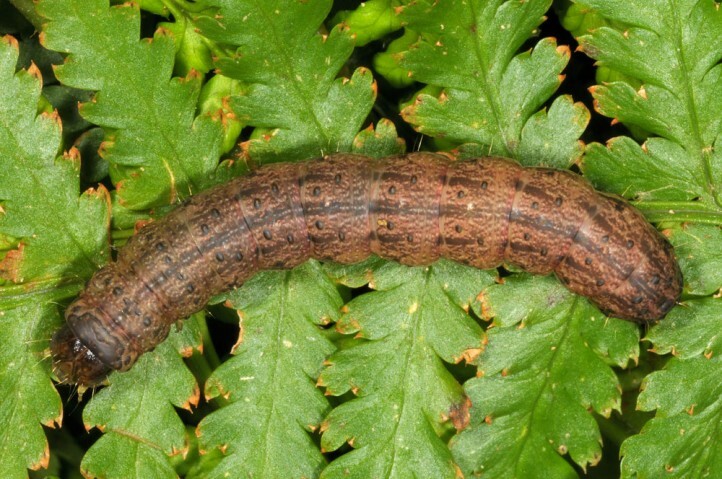 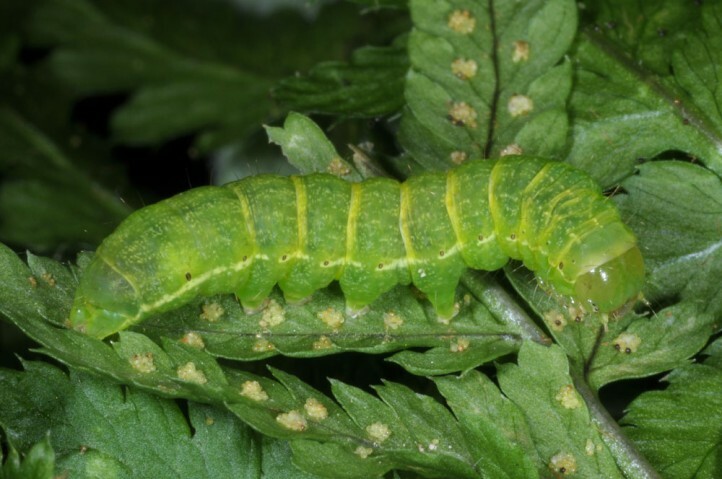 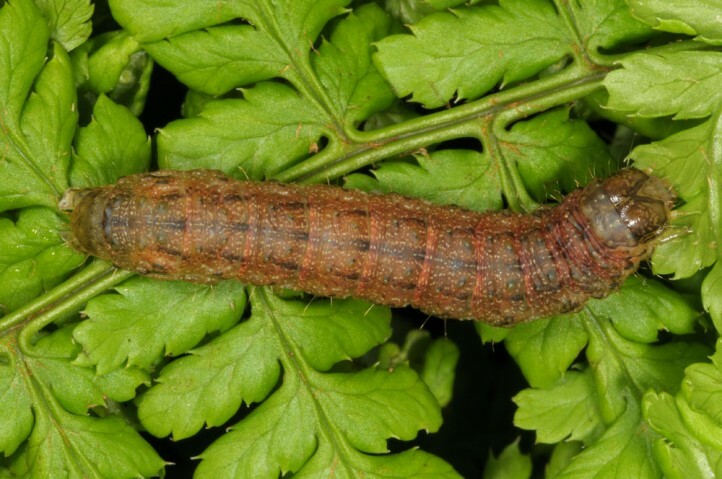 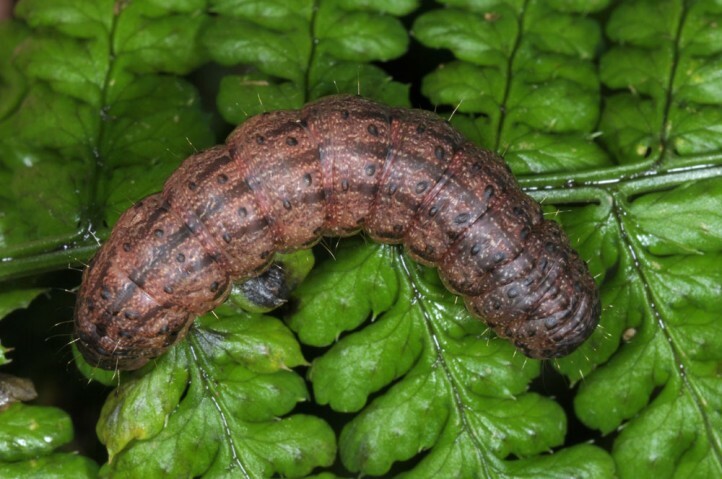 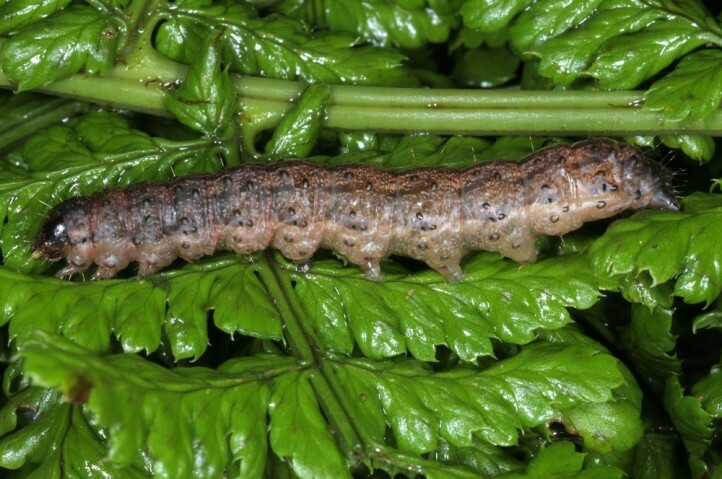 According to own field studies the larvae primarily feed on ferns. 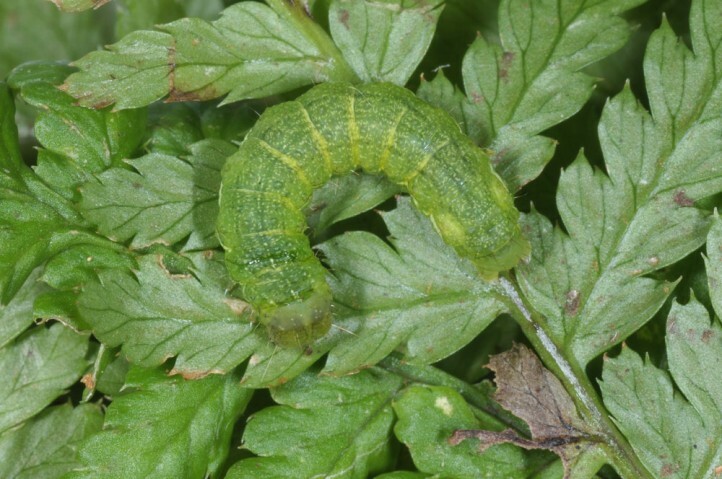 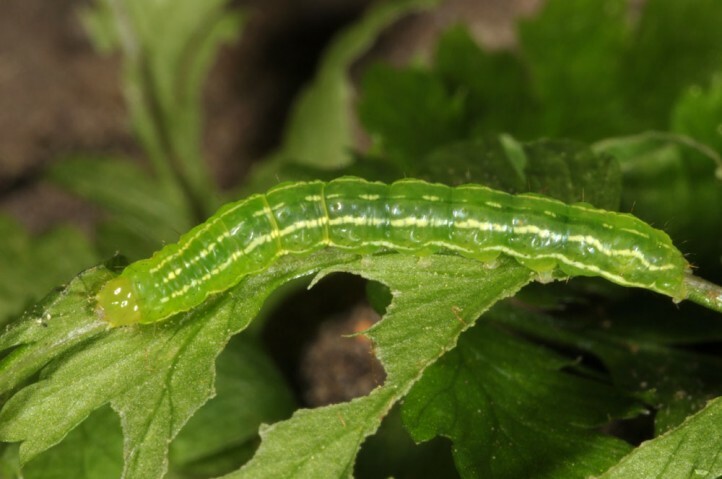 In January 2016, I also recorded two larvae on Rubus. 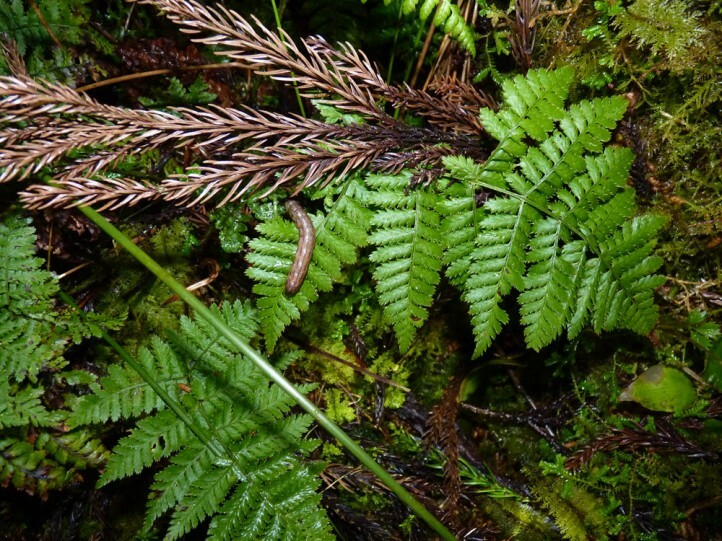 Phlogophora kruegeri inhabits fern-rich, wind-protected and humid habitats of all kinds in altitudes above app. 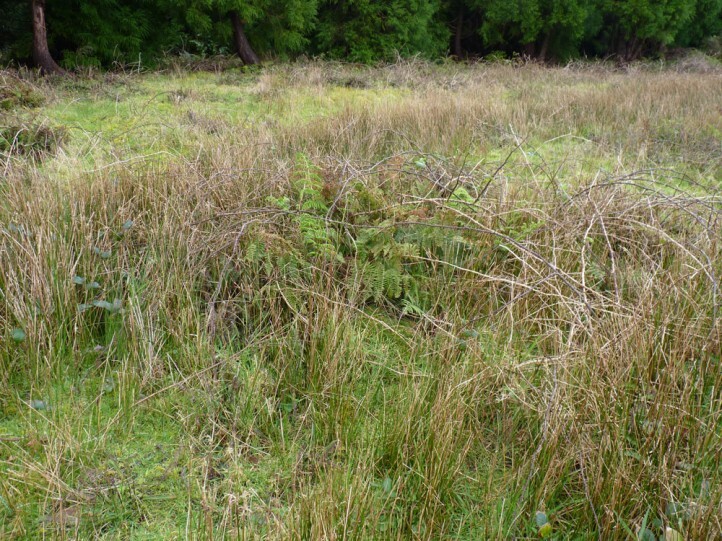 300m asl. 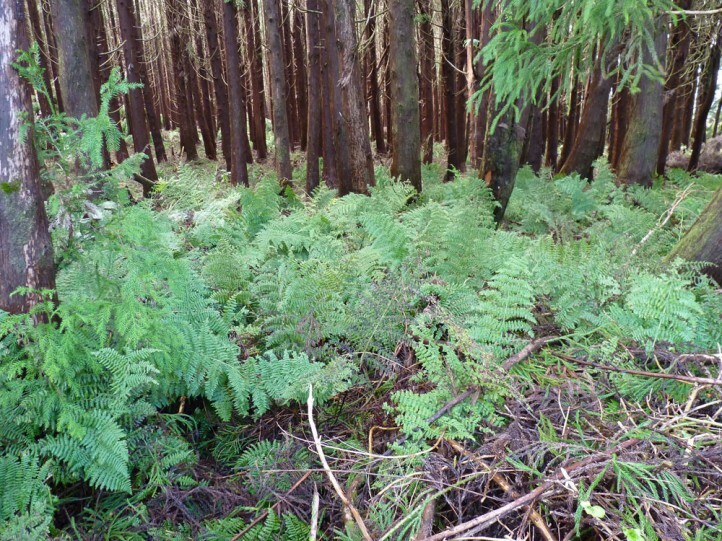 Allochthonous coniferous forests, laurel forests and wind-protected sites in open country can all be settled. 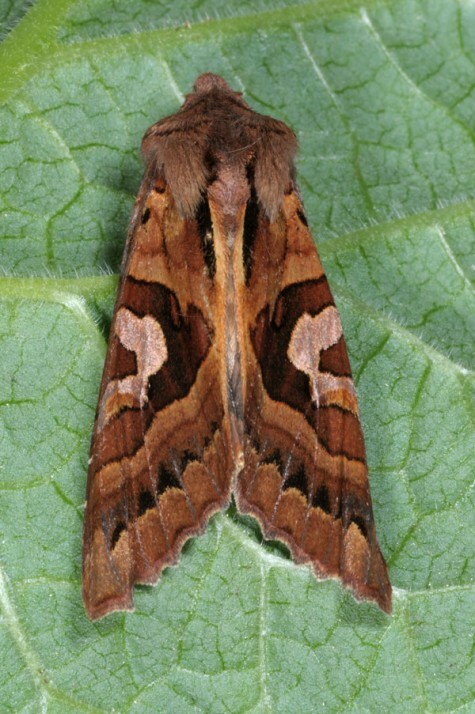 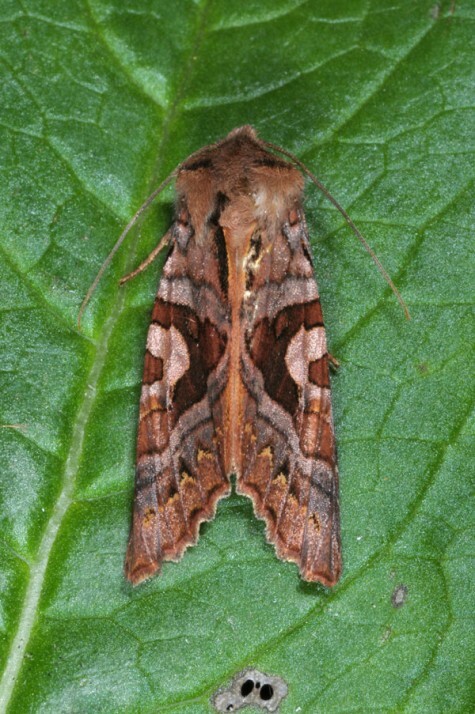 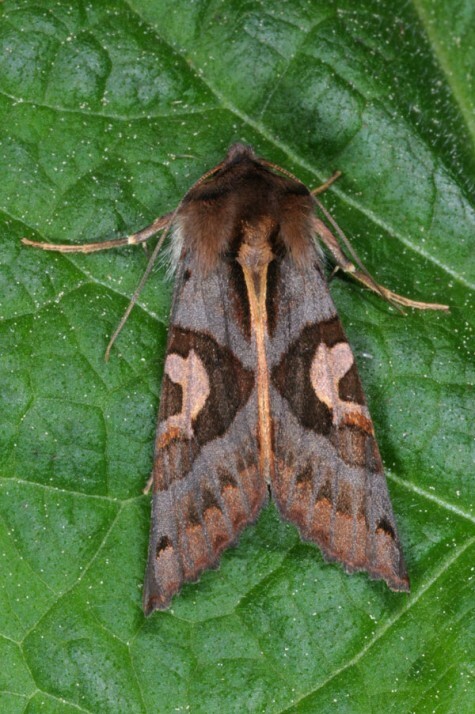 Phlogophora kruegeri is continous-brooded with adults year-round. 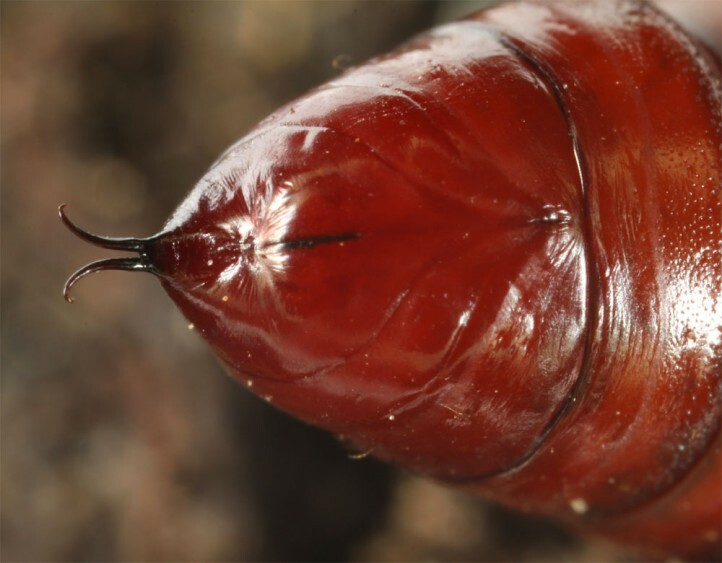 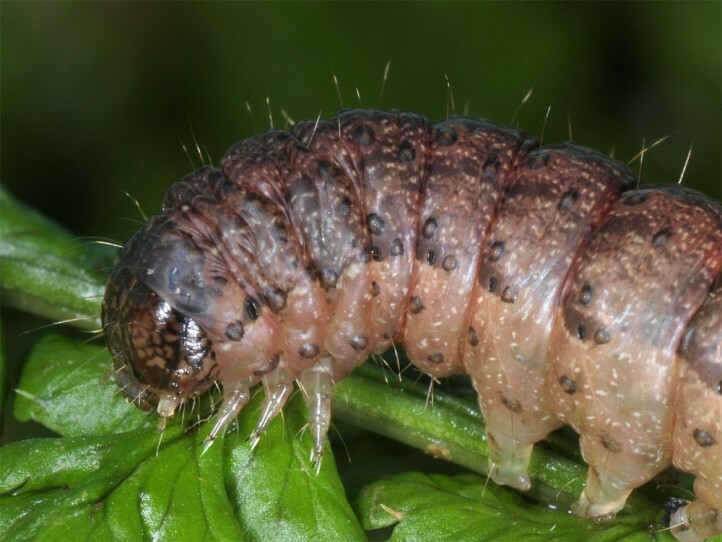 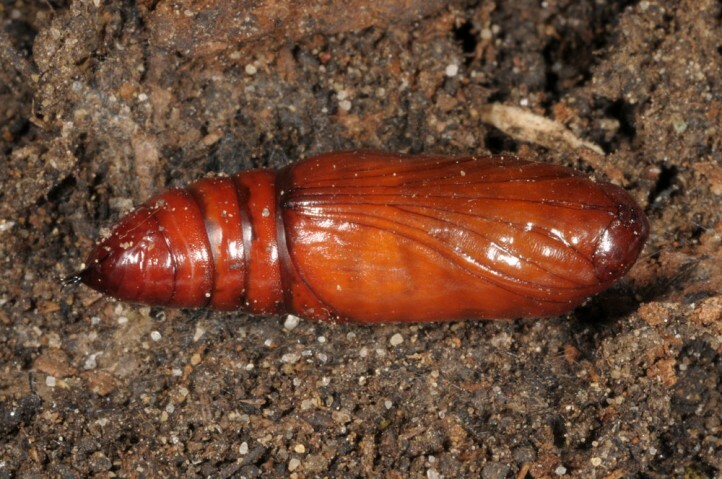 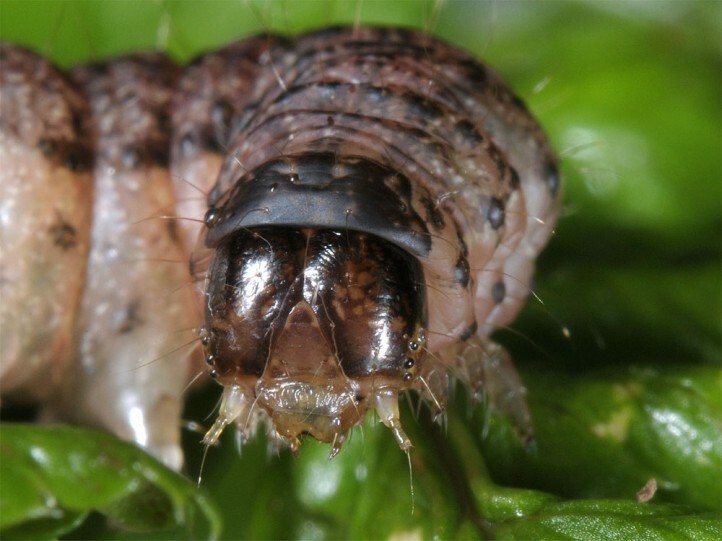 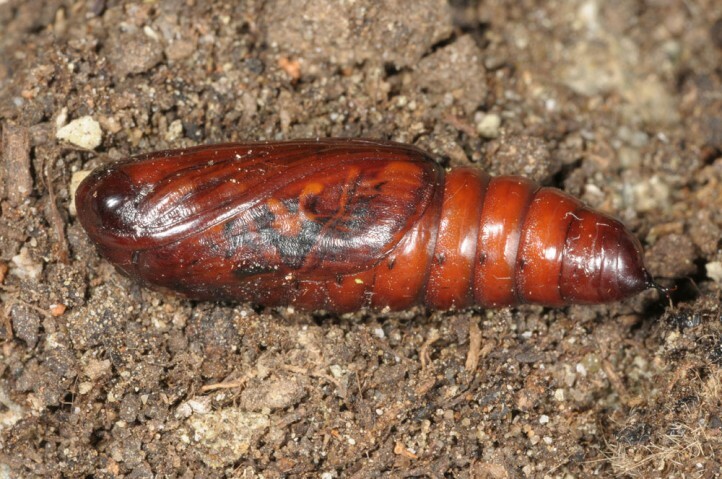 Single larvae may be able to enter a dormancy prior to pupation in the cocoon. 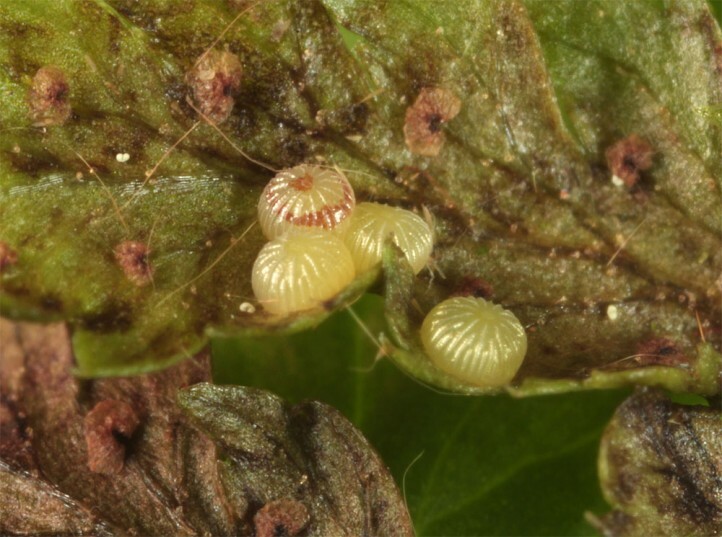 Oviposition occurs on the lower side of fern leaves, preferably younger ones, where the green younger larvae live. 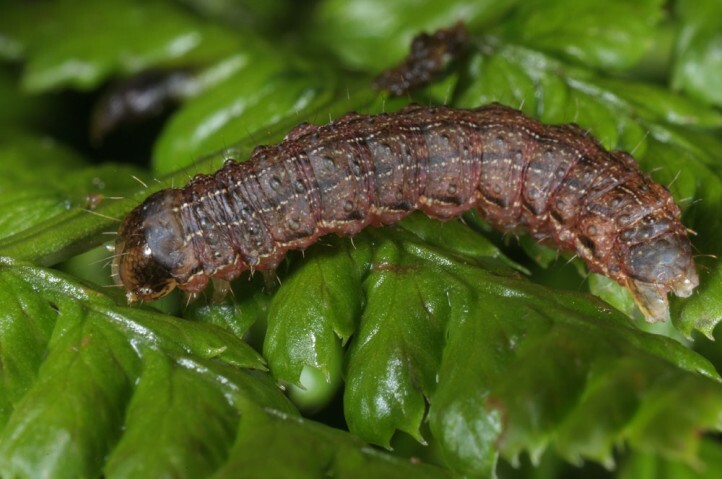 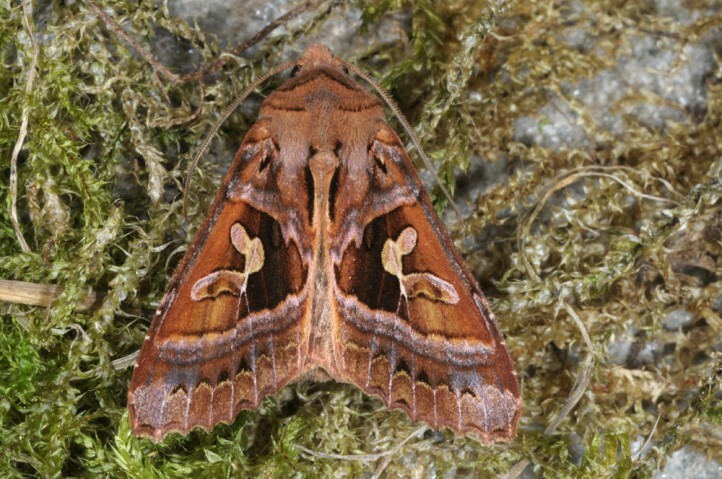 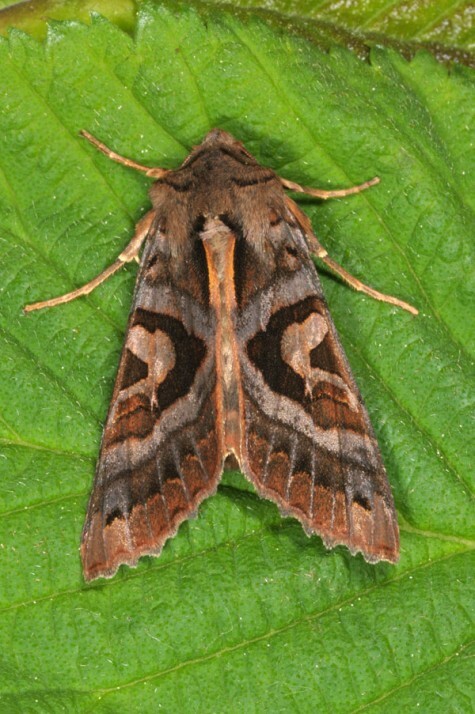 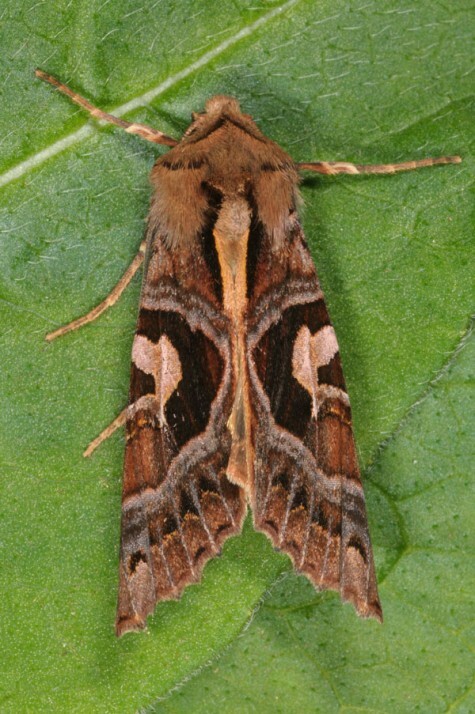 The mostly brown older larvae hide in the moss and litter during daytime and feed only at night. 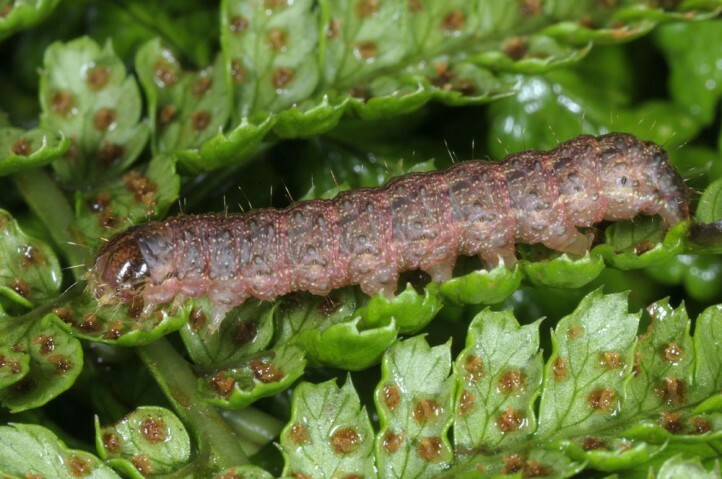 Then they often feed on the upper side of fern leaves. 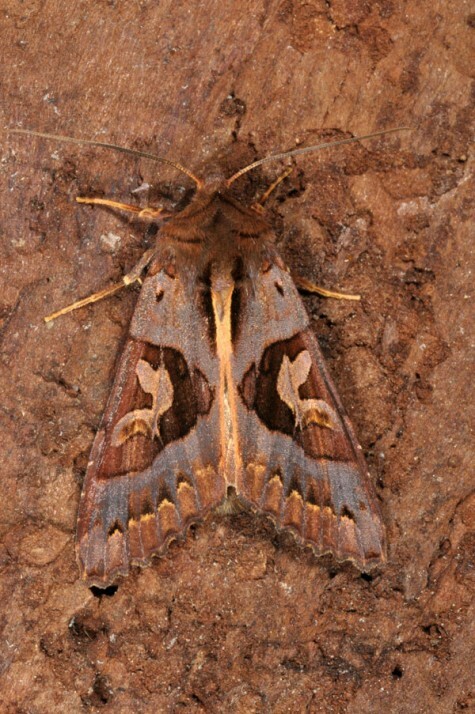 Phlogophora kruegeri is only moderately endangered at the moment because it has no high demands on habitat. 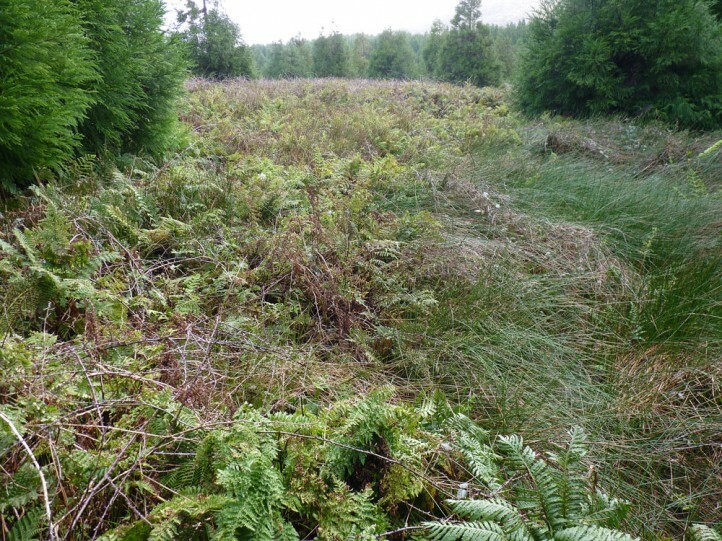 Most important threat is transformation of habitat into cattle fields. 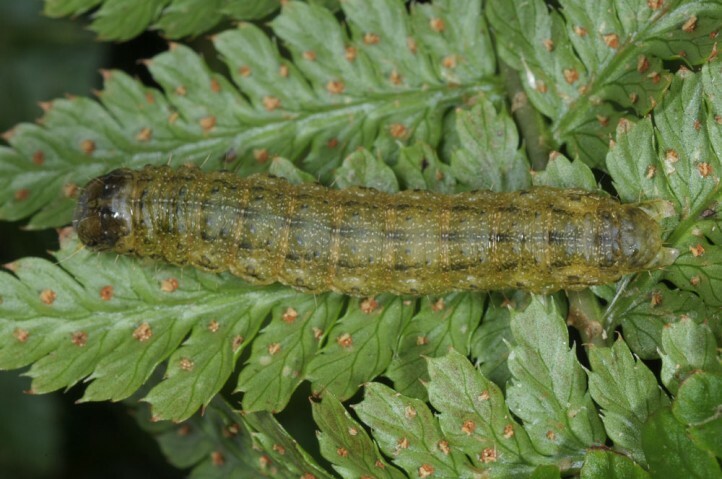 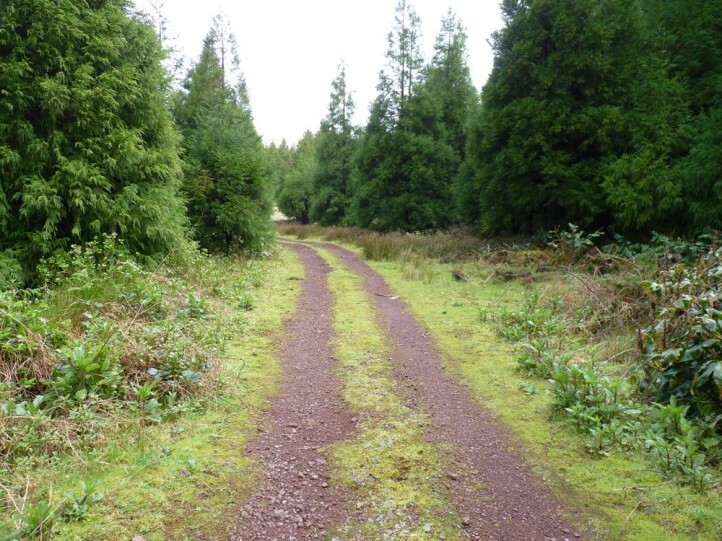 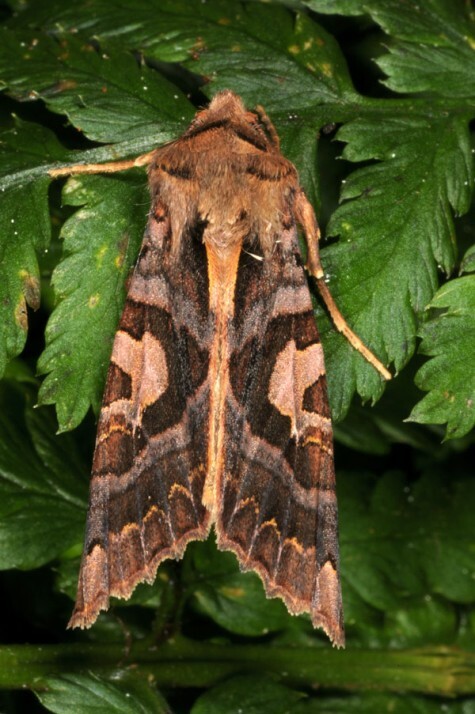 On those usually quite intensely used cow meadows no endemic Azorean Lepidoptera species can reproduce successfully. 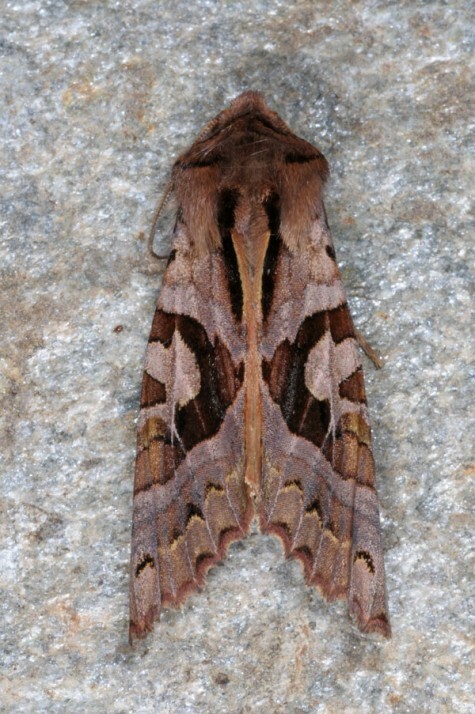 Phlogophora kruegeri is endemic to Flores Island (Azores). 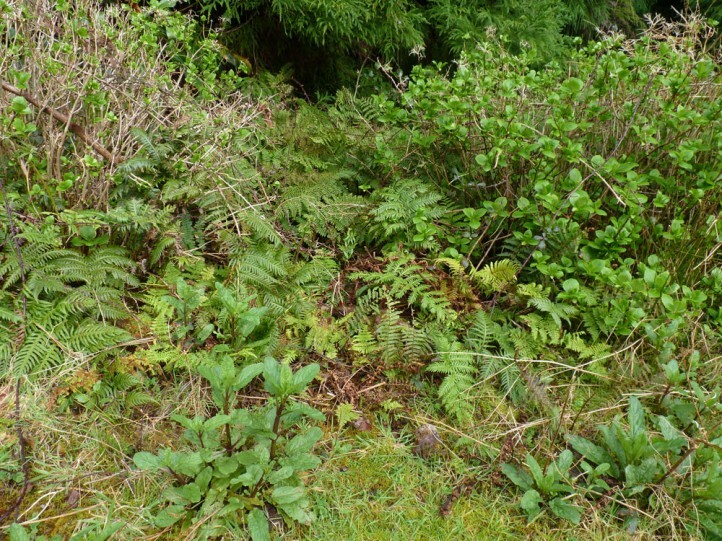 A small population may possibly be found on Corvo Island. 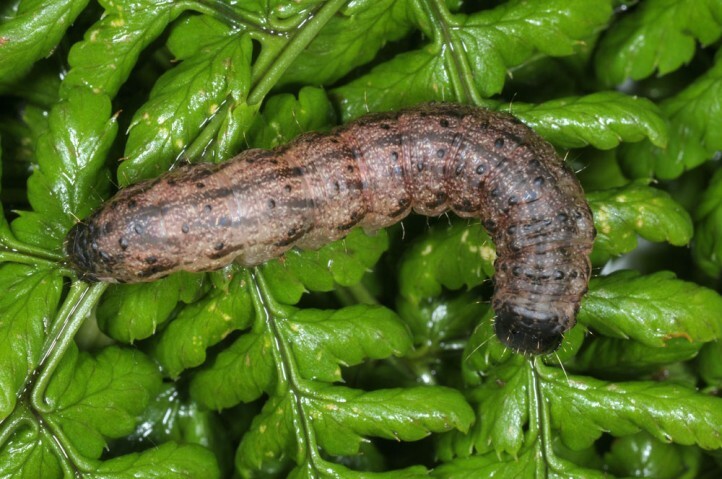 Phlogophora kruegeri is very closely related to P. interrupta which is widespread in central and eastern parts of the Azores. 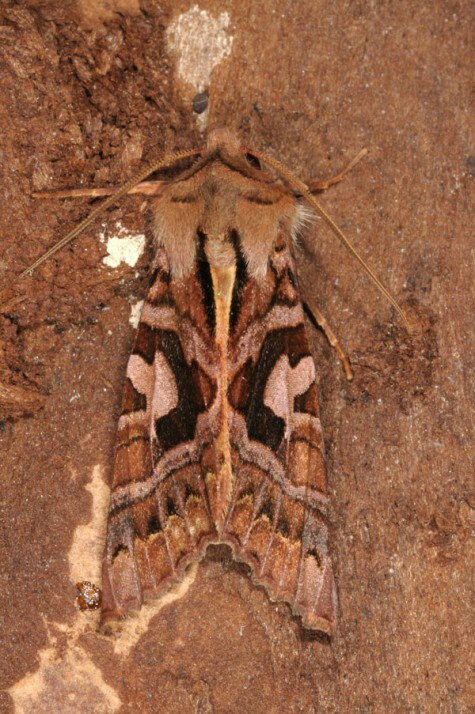 Phlogophora kruegeri seems to substitute P. interrupta in the western group (Flores). 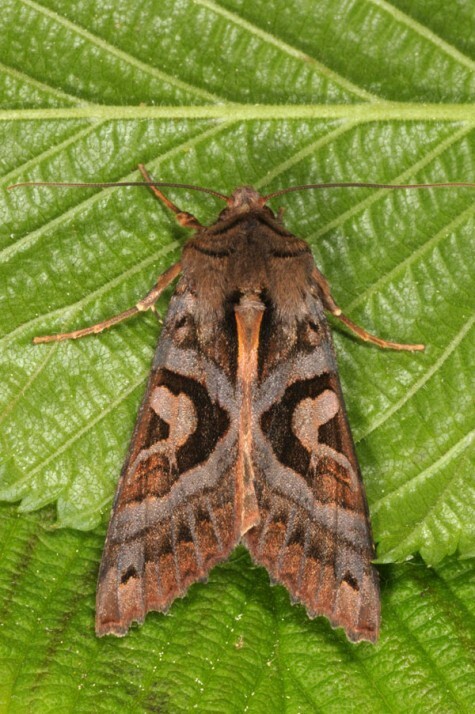 The two taxa supposedly evolved from a common ancestor. 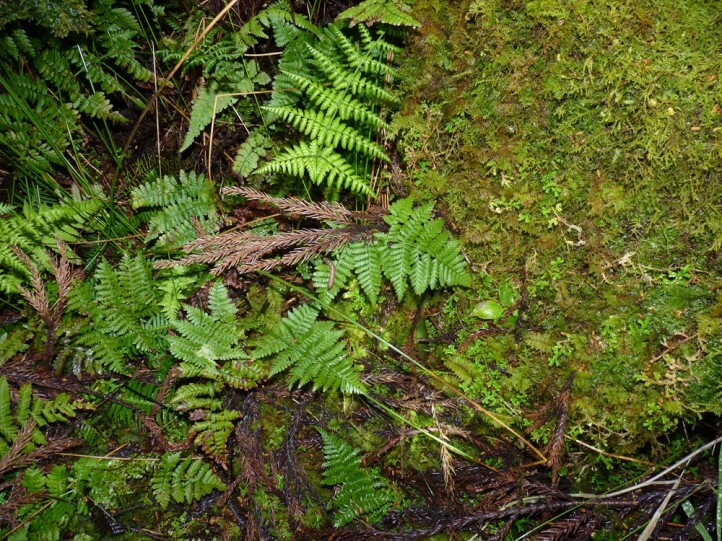 Differences are quite slight in all stages.